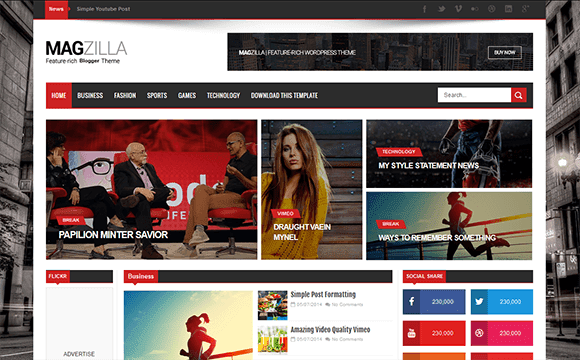 Mag Zilla Blogger Template is a striking blogger theme boasting a variety of robust features and carefully crafted to impress any audience whatever the topic. Whether your passion be travel, business, or gaming, Mag Zilla stunning featured look area is sure to catch every visitor’s eye. Showcase your content prominently with Mag Zilla blogger template and express your opinion with the exciting comment system. From custom widgets to its simple Customizer to the fully responsive layout, let Mag Zilla clean elegance blogger template help make your content shine across all devices & screen sizes.